The first of the 14 Days of Fortnite challenges has officially went live on the popular battle royale title, along with the reward that players will receive for completing it. The 14 Days of Fortnite event was officially announced on Tuesday, December 18 during the V7.10 update for the game, and began on Wednesday, December 19. The event acts like an advent calendar, rewarding players for completing challenges throughout the event, with a new challenge going live every day. The event will run through Christmas and into the new year, meaning Fortnite fans have plenty of incentives to hop onto the game daily throughout the holiday season. The challenges had been leaked thanks to dataminers following the release of the patch, but unfortunately there was no order so fans were unable to figure out what would come first. 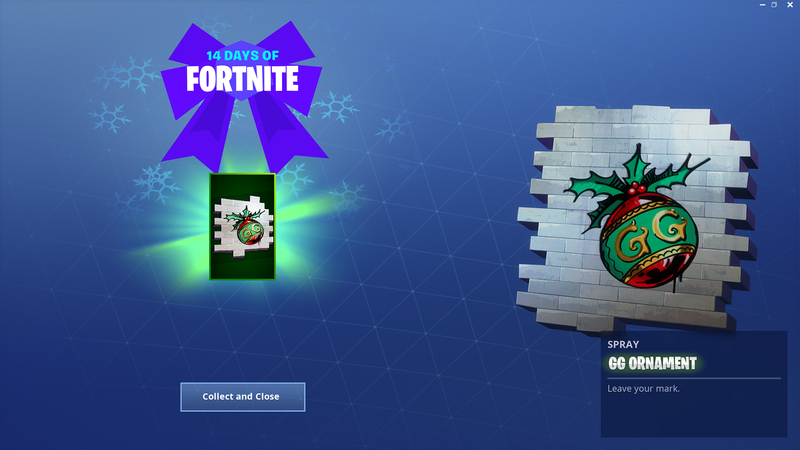 However, we now know that the first challenge for the 14 Days of Fortnite event is a simple one, as players just need to hop into the game’s Creative Mode to complete it and unlock their reward. For completing the challenge, players will earn a special spray, titled the “GG Ornament.” This spray is a play on Fortnite’s classic ‘GG’ spray, which means “Good game,” however it appears in a Christmas bauble to represent the festive season. Fortnite players are already hopping onto the game as they attempt to unlock the new item, with Epic Games forced to tweet out that they are aware of slow loading times as lots of players attempt to enter Creative Mode. We’re aware that players are having longer matchmaking times in Creative Mode. We’re working to get this resolved. 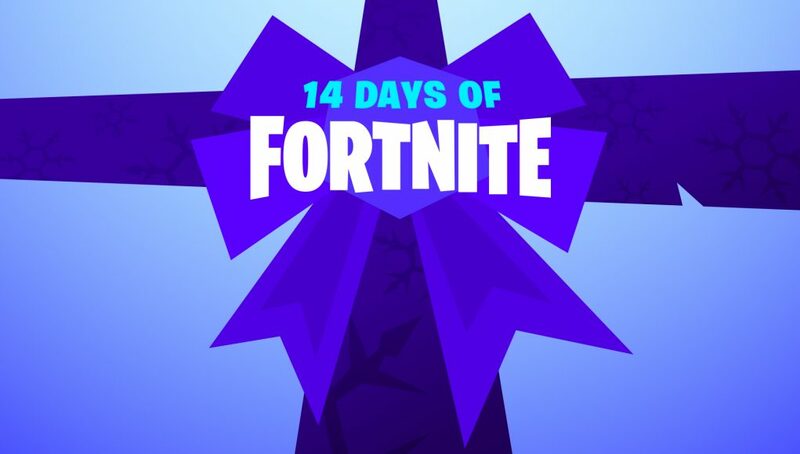 What do you think of the 14 Days of Fortnite challenge? Will you be unlocking the special spray? Let us know!